Welcome to the Maytag complaints department brought to you by HissingKitty. Experienced poor customer service? We make it easy to file a formal complaint against Maytag online. Simply use our free form and your feedback will be instantly forwarded for review. Need to contact the Maytag corporate office? We have the mailing address, phone number, and email address listed below. I purchased $ 6,415 of kitchen-aid appliances from the Maytag store 3800 Tittabawassee Rd. Saginaw, Mi. After a month of waiting I called Maytag and asked for an update. The salesperson Holly originally stated she would contact me, but did not. I was advised that three of the appliances were in however the 30" double oven was not. I was informed the range was to be in on Monday March 18 and she would call me for a delivery date. I did not receive a call and again had to call Maytag. I was advised delivery would be Tuesday March 19 between 9 - 11 am. I was told I had to pay $46.00 for delivery into the house with no set up. The appliances did arrive however the range was dented / damaged. Delivery persons wanted to set it, but my builder asked them to leave the damaged range so I would be able to cook, and bring a new one later. This was denied. I never received a call from store management, so on Tues. Mar. 19 I called the store and spoke to George. I asked for a manager and George said some people call him manager. I expressed my disappointment rather vocally. George said he did not know what he was going to do. George called me back and offered a ten percent discount. My original purchase price was $1,974 with ten percent off $1,776 I can buy the oven anywhere for that price. I decided a new oven would be ordered however it would be another three weeks for it to come in. Very disappointing to say the least. It should also be known that when I originally purchased the appliances, I was told that Maytag delivers and a $69.00 delivery fee was added to my bill. Also I had to pay an additional $46.00 fee to have delivery persons deliver the appliances and just set them in my house. I can say without question that if I had known this information prior to shopping Maytag would have not been a consideration for purchase. I have repeatedly called since October 2018 and always get a recording but no one will answer the phone. And NO, I do NOT need to pay for a warranty on a fridge that I purchased in April of 2018. It has frosting issues, and I finally brought an older Samsung Fridge up from the basement, and put the piece of junk Maytag in the basement. I did have it looked at, and there is NO way I will pay hundreds of dollars (almost as much as I payed for Home Depot for the fridge new. I do not have the actual receipt, but I have a copy of the purchase order from Home Depot in Belleville IL. We bought a washer and dryer from Lowes. 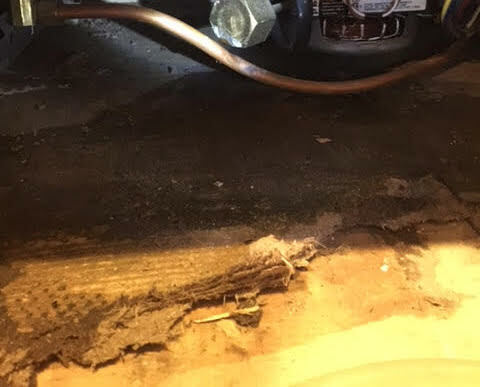 The washer has too much vibration and falls off the ledge creating a dangerous situation of flooding the house. We called in service and Twin City Appliance came to repair it. They did not find anything wrong, and recommended placing a fatique mat under the machine to absorb the vibration and eliminate the washer walking off the ledge. 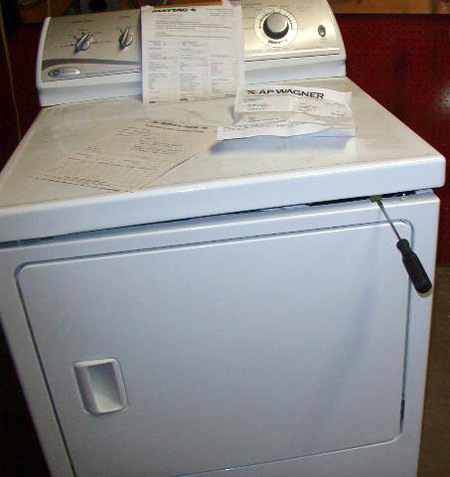 The repair charges from the Twin City Appliance were denied by Maytag, and we ended up paying for it. We will like this reimbursed. The washer with the fatique mat still walks off the ledge and is not working properly. We have used it for may 10 lots since bought new. We are ready to throw it out and NEVER tough Maytag again. I hope you will answer this with a professional resolution. We purchased a front loader Maytag washer - model # MHW3505W1 on June 22, 2017. It is now 15 months since the purchase and the touch control panel is not working correctly. The power goes on - on its own , when I push the power button to shut it off it comes on again by itself a few minutes later. The only way to stop this from happening is to pull the plug! I tried doing a wash and it shuts off after a few mins, it’s like it’s possessed! I called our long time appliance repair man and it has been days that he has been trying to get the part and he has now informed me that it is not to be had here in the US! What am I to do with a year old washer that cannot be fixed? Throw it out and buy another?! I can assure you it will not be a Maytag! My last Maytag washer was almost 30 years old before we laid it to rest! What has happened to the quality appliances that we the customers have relied on all these many years? My maytag washer does not supply enough water to wash my cloths, I have to wash them twice every cycle to get them clean. 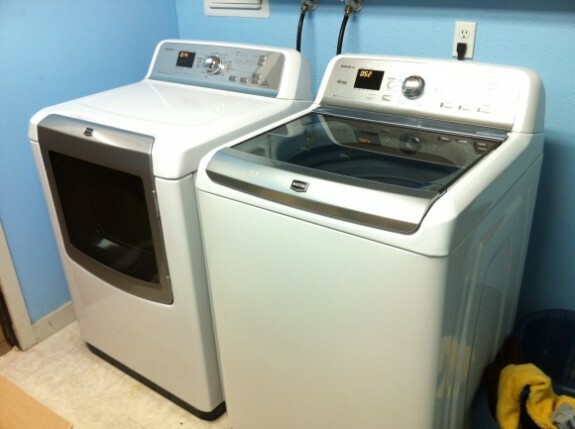 I bought one pair of Maytag washer and dryer at Portland,Oregon Fry’s company Woodbury,Oregon.since I have using these pair of washer and dryer. It seem ok,I bought them at 2013.but unfortunately the washer machine’s life is very short. Last summer the washer suddenly couldn’t finish,the machine stop at the spin area,and not draining at all so I had to ask the repair washer company to fix it .the company name Knapp appliance,they told me the machine’s modal was broken need to change, but couple days later the washer still have problem, so they come again. Totally they charge me $226.00 for the part and labor. But the machine still not fix? Because if I put a little bit clothes then the machine won’t drain again still stop at spin area? On 10/13/18 I had to ask other appliance company to fix it.This time they charge me total $184.99 for labor and changing hot valve. But still couldn’t take care of the problem the same man came again he told me he reset the machine and told everything look good but hedon’t Know why the machine still have problem not draining at all? BecauseI have been spend $410.99 for this Maytag washer but still not be fixed? I feel very frustrate,I am a low income family so I have to ask my daughter to borrow me money to buy anew one . Because the machine not spin and not drain ,I always need to use my both hand to dry all the clothes before put in the dryer,it also make me spent more money on the electric bill. l don’t know for this complain, what can you help me ? thank you very much. OUR MAYTAG NEPTUNE, FRONT LOADER DRYER, IS VIRTUALLY THE LOUDEST PIECE OF EQIPMENT I HAVE EVER HEARD OR HAD. WHEN THE DRYER STARTS WE HAVE TO CLOSE EVERY DOOR BETWEEN US AND THE MACHING AND GENERALLY GO BACK TO A REAR BEDROOM AND TURN ON THE T.V. THE MACHINE WORKS IT SIMPLY IS DEAFENING TO HAVE TO DEAL WITH. WE DONT KNOW IF THE MACHINE IS POORLY ENGINEERED OR IS FALLING APART. IT IS LESS THAN 5 YEARS OLD, AND SO FAR HAS BEEN A POOR INVESTMENT. I have a Maytag Neptune Drying Center which my wife loves and does not wish to replace. The bottom unit has ceased heating. Your Matag help line is a waste of my and your time. The young lady had absolutely no knowledge or suggestions as to where to find qualified help in getting it repaired. Her observation was that the unit was too old and the technicians only knew how to fix the newer models. I could have told her that without sitting on a waiting list for 17 minutes. You produced a great product, but fail to support it. I would rate your company with a fat zero, but one is the lowest I can assign. I have a Maytag Over the Range Microwave Model #MMV4206FZ. I had purchased it in April 2017. The microwave had malfunctioned in October 2017. The obvious continual problem with this particular microwave, open/close door. Latch assembly and motherboard malfunction. Technician called to repair. Its been a month and still awaiting parts. This is totally unacceptable. Spoke to Lisa (supervisor) ext. 8696. She stated that they have been searching North America for parts. Obviously the parts are not on the continent. I had asked her to refund my money or replace the microwave. If Maytag knows the problem exists they should find a fix, but in the meantime I have been without a microwave for a month. I believe I have been patient enough and the company needs to compensate me by refunding me my money or supplying me with a new microwave. By the way I had purchased a Fridge, Dishwasher, and stove all made by Maytag a company that is supposed to stand behind their product. Purchased Maytag Refrigerator in April of 2017. Did not operate correctly from the beginning. All food kept in the back froze and everytime I open the freezer ice falls out and my floor gets all wet. Continued to get worst until I finally called service in September. Service came out and ordered a large rubber band for the freezer compartment. After it was installed still did the same thing. If you look under neath the freezer door it is all bent. Came from the factory like that I believe. So now Maytag ordered me a whole new freezer door. I called them last week because I have been waiting over 6 weeks now. They told me now to wait until 11/21/2017. I called them today and told them that it did not arrive and now I will be referred to the product review board and they will contact me in 24-48 hours. I do not want the door replaced. I want a whole new refrigerator because I am not confident that putting a new door on will completely solve the problem since the whole frame seems to be bent. The two doors are not even on the top. That is why I believe it is all bent from the factory. I will now have to have Thanksgiving at the local restaurant. I now have 8 phone calls invested in the customer service department with no resolve. Thank you Maytag for this wonderful Thanksgiving memory. HELP! you charged me twice for the same service contract.Have been lied to for three days would like to speak to someone whO can help. WHAT YOU DID IS STEALING.Y have the most dishonest people working for you. I will call the radio stations and newspaper even the attorney general in your area. Yesterday I was cooking dinner for my family on Thanksgiving day. My pot of boiling potatoes boiled over so I took the lid off and started wiping up the water with a paper towel when I heard a loud POP and all the red lights that show that the stove is hot, went out. I quickly turned off all the burners when smoke started coming out from underneath front of the stove top and then flames started shooting out. I yelled for my husband but then the flames went out. It was very scary and the smell was awful! The only numbers that I see when I open the oven are 8114P471-60. We had it installed by Home Depot and everything was peachy. Fast forward to about the beginning of November. The microwave started to show signs of problems. The light inside wouldn't come on. The microwave wouldn't let you hit the start button to begin warming food. Sometimes it worked fine, other times not so much. I ended up contacting Home Depot who said that we had to deal directly with Maytag for the first year. I went online and scheduled an appointment. Two days later the contractor for the Plainfield, Illinois area dispatched a repair service (Diamond repair) and the guy diagnosed the issue. He claimed that it was from the door being closed too hard. He said he knew exactly what the problem was and that he had to order the parts. I said fine and he ordered them. That brings us to today. We had to move our schedules around to make sure that someone was home for the repair. My wife gave him access to the microwave and he made the necessary repairs. He went to test it and it didn't work. It is my understanding that he replaced a total of three parts. When he discovered that the problem wasn't fixed he told my wife that he now has to order a new motherboard and before he does that he has to come back out at a later time to do another diagnostic. Then after he orders the part he has to schedule another time to replace the part and hope that this fixes it. To me (the consumer) this seems like overkill for an item that could have easily been swapped out with another of the same for probably a lot less cost to you. I imagine that for every service call and part they order you are footing the bill. To boot, they are extending this out for me, the consumer, another month. He told us not to use the microwave and unplugged it. Mr. Fettig, I have three young boys. We use our microwave. I don't have another month or possibly longer for this place to play cat and mouse games. I need this replaced either with the same model or another ASAP. Please get back to me at your earliest convenience with a solution. My earliest recollection of a Maytag washer was back in 1949 when my mother had a gas engine model. Since then she would only use Maytag wringer washers. Since I started with my own family I have always purchased Maytag machines. About 4 years ago I purchased a set of your Centennial models. I immediately started to have trouble with the softener dispenser emitting globs of softener in the rinse cycle leaving big blotches on the clothes. Also the liquid bleach dispenser would emit bleach in loads after it was used ruining colored clothes. About a year ago I had to have the agitator replaced because the bearing went bad. On top of all that I have to listen to my wife harping on me about ruining her good clothes. Well, I have had enough. We are going shopping for a new washer and most likely it will not be a Maytag. After we get the new one I am hauling this one to the scrap yard and sell it for junk because in good concise I could not sell it to anyone else. I had a service man come and look at the bleach dispenser soon after I got the machine and he just shrugged it off. I bought my machine in May 2015. The first week I was dismayed at the racket it made when on the spin cycle. I called for a repair man and he went through the motions and said it was fine. He told me to use the cycles for more water. So I did. It still made a racket. They came again. This repair man called Maytag and said how dissatisfied I was. They would do nothing as the machine was working "normally". The spin cycle sounds like there is literally a wrench in the works. I have had four washing machines in my long lifetime, this one is just horrible. I have holes in my clothes and they are so twisted it is annoying to do a wash. I had a complaint from a neighbor in my soundproofed condo. Today I bought a brand new machine not a Maytag. I am out $800 as I cannot sell such a lemon to anyone else. Maytag service is a joke. The door on the refrigerator broke! Never have I seen the door on my refrigerator break off. Apparently the refrigerator is a piece of junk. Maytag needs to replace it at no charge to me. The inconvenience and disbelief that this has happened is beyond realization, I look forward to a response from you and to an explanation as to how this issue will be resolved. I purchased a dryer model #MGDC300BW 11/24/14, I have used it maybe twenty times and already it dose not spin. I had very high expectation for the Maytag brand, I am very disappointed. What is the phone number to file a refund request and get my money back? As far a rating this machine. I will suggest to anyone considering it to think twice before you purchase. I purchased this machine back in May 2016. Since that time I have called for service twice. It vibrates violently during the second spin. So violent and loud that it has moved from the space and eventually butts up to the dryer. It is the worst machine ever! I guess I should have purchased the Lowe's warrantee because at the least they would have taken me serious about the washer. Just today September 20, 2016 I had the service man come again. He witnessed the actions of the machine. He called the Maytag service center and he was directed to do several checks which he had already done. The service person finally told him that the problem wasn't the machine it was my floor. This is a new home and it has passed all inspections by county inspectors. Frankly, I find it hard to believe that this service person can sit where he is and make this statement. While on the call the person answering the call made another appointment for me. So this will be the third service. I was told that if I continue to call that I will be charged. A word to the wish forget about updating your washing machine especially with this may tag washer. Stick to the old machines. This machine is not worth the money I paid for it. I am definitely out of it due to the Maytag service person's remarks about the floor in my home and the apparent lack of concern for the product I purchased. Maytag customer service is not who they use to be. The model is as follows: MOD (MVWX655DW1) SER (C61543124) TYPE (589-01). Unbelievable (or perhaps just really disappointing) stonewalling by Maytag. My third contact to Maytag corporate about a new Bravos washing machine that does not clean clothes. I provided full details in my complaint, including the prior suggestions that were followed and the end results. Absolutely no satisfaction. I have a Maytag Neptune washer with mold and mildew and called Maytag but they say my model number is not listed as having a problem. I have tried using bleach and vinegar with no help to get mold out of washer door. Customer service was not willing to assist me. Would never buy another Maytag product after this experience. We just picked up our oven, ready to install it and your installation instructions tell us we must have a "foam strip",part W10489273. Why wasn't it included with the oven? We called and the part is being shipped within 7 days. Your representative REFUSED to ship it overnight and she CLAIMED their was no supervisor to speak to! Now I have no oven to use for 7 days. How can I use my kitchen with this mess. Your complaint department phone number is the same phone number of the parts order department. I would like an explanation of that. Maytag makes a very reliable cloths washer however you fail at producing a reliable dishwasher. We purchased a Maytag dishwasher E71195 type 777-0, MCBH945AWW3, NY 2613635, on 9/17/09 from Home Depot. On 12/21/09 was the first of many service calls which required the replacement of the touch pad controller every time. This occurred at least 4 or 5 times the last time was approximately 3 years ago. This machine has had very limited use as my mother-in-law didn't like using the machine. I was present at the last time the touch pad was replaced; the service man stated these control pads where failing so often that the service men carried a box full of replacement controllers and would send the defective pads back as they were produced out side of the USA. My mother-in-law sold Maytag products for 30th years and stated she never experienced such poor performing machine. This month she will be 100 years old and is still reliable however I can not now say that about this Maytag Dishwasher. Maytag as a good faith jester should replace the control pad free of charge. Thank you for considering this information and request. I have been told that I request would never be addressed by you department but I still believe Maytag will do the right thing. As far a rating my machine I would not work. It is the worst machine ever! I am so MAD. I got a May tag bravos xl May tag it the worst machine I have ever had. I got at Lowe's when I got the washer home i was going to wash clothes. I put them in the washer turned it on and the BIG tank only held maybe the tank got 2 gallon of water in it. then it started to wash. But the problem was there was no water in the machine. I called Lowe's they say it is the new machines. Water control well the government or May tag dose not pay my water bill. I had them come and get machine thinking they were crazy by saying that, and had them send me another one. The second machine is doing the same thing. I really though getting an American Made Machine would be great. My husband and I have a business and I do understand that jobs and work is going else where so I was going to get a May tag. This machine is not worth the money I payed for it I wish it was out of my house! I can was shirts 5 or 6 dress shirts, the machine will not get any water, the shirts will come out of the washer with spots on them where they didn't even get water. YES i am very angry right now I was going to was some tablecloths and once again no water. My dishwasher is a little of a year old, but pretty much since day one, the wheels will not stay on the bottom rack. We are using the bottom rack with no wheels, and it is a pain. This can't be the first complaint with this problem. I was given a Maytag dishwasher as a gift a few years back . Both racks have rusted the I call customer service to see. I they can send me two new ones. I was told that this model mdb6600aws has been discontinued. She than proceeds to tell me where I can get a new dishwasher REALLY! I looked on line for racks and Maytag wants for the upper rack 129.59 and 169.69 for the lower rack. The dishwasher is working fine. I am a disabled person on a budget why would I even conceive to pay that price when that's the price of a new one. I'm VERY DISAPPOINTED with Maytag not standing by there product. I have read all the complaints on how bad the company deals with complaints. I know my complaint will fall on deaf ears and I hope I'm wrong But, I'm not going to hold my breath. We purchased a stainless steel Maytag dishwasher, Model MDB87749SBM2, 2 1/2 years ago in Largo, Florida. It's been used off and on as we are snowbirds. Within the last week, without any dishes even being in the dishwasher, and NO buttons pushed, it self starts. I had loaded the dishwasher one night, before going to bed and planned to run it in the AM when I was awake. But when I came into the kitchen, it had already self started. I hit cancel because no soap pod was in the chamber, it drained. After the dishwasher drained, I turned all the buttons off and closed the door. When I got up in the morning, it had started running sometime during the night, the dishes were soaked and a film was all over everything. I had to hand scrub ALL the dishes, but some of the film won't even come off. I haven't used it since. Today for a change I closed the door (we'd been keeping it ajar) and it actually DIDN'T self-start, so I kept the door closed. I was standing in the kitchen two hours later and it suddenly started self washing…again no buttons had been pushed and the door had not been opened since the morning. My husband, who is an engineer, did some research, and just took apart the control panel and it has several areas of corrosion as others had reported with these dishwashers. We've both had dishwashers all of our lives, and NEVER thought the most expensive, brand name dishwasher we've ever bought would perform so poorly in such a short amount of time and especially little use. We thought Maytag customer service was supposed to be the best, but are very discouraged with this machine. Shut the door of my Maytag oven (installed 2008) and the glass front came crashing down in millions of pieces. This should not have happened. When contacting a Maytag customer service center was told, no recalls, so I had to pay to pay for another glass fron, plus installation. Approx. $236. This is unacceptable, the glass front should have never fallen off. Had installer put new glass on yesterday, and this is not sitting well with me. What can Maytag corporate office do about this situation? I purchased a Maytag Bravo washer in May 2011 it started to leak from the bottom after we used it. I called my local dealer they said it was because my washer had rusted on the inside of the top of the machine causing this. I just can not believe this from Maytag it is less than four years old. It is in dry place no moisture problems . The dealer who sold it to me said it was my water maybe. Everyone in my neighborhood uses the same water with no problem. I paid around $700.00 for this washer and it is not even five years old and have to replace it. Please help me out with this problem we have been long time Maytag users. Please get back with me soon because we have to have a washer. I have a high end may tag fridge. It is in trouble and in reading the posts on this fridge, it is a common problem that Maytag is aware of. I called your service dept, Monday morning, and they set up a appointment for Tuesday morn between 8 and 12. I agreed to it. I got a call from the appliance repair in Belleville, and they advised me they would be by Wendsday morning. Thats not what Maytag arranged. Secondly, they said the problem is a switch, and they would order one, and fix when comes in. I advised them that the problem is the control board. They said they would send a repairman instead and diagnos the problem for $100.57. He came (complete waste of time and my money). He dickered around just to put in his 15min to charge me.He said his office would contact me with estimate. That was a day and half ago. Not heard.Terrible service, and Maytag should cover cost. I have no fridge lost food, and keeping what I can in my garage to keep cool. The control board has been a complete failure on these fridges. Look at all the complaints. I was in the process to buy a Maytag washer and Dryer at Home Depot, but changed my mind. So much for your Maytag repairman having nothing to do. Terrible service with no satisfaction. Should be ashamed! Washer would not work. We finally realized it was the lid latch that is the problem. This washer has been used less than 5 years. Can Maytag not make quality parts that last longer? We are a retired couple who do wash only a couple times per week and we definitely are gentle and respectful with everything we own. We had hoped when we purchased this it would be our last washer. I really feel like it has never cleaned well and the clothes always seem to have an odor even though I clean the washer with the cleaning product recommended every 3-4 months. Have others reported a similar problem with the lid latch switch and is there possibly a recall where replacement is possible. Thank you for taking the time to review this problem. I will try to call Maytag head offices next and escalate this to management. I have a 3 year old Maytag Centennial washing machine which stopped draining water. Repair person (not from Maytag) said it was the "main bearings". It was not worth fixing. I called Maytag customer service who said it was out of warranty. I can't find a phone number for a complaint department. All I can find is the customer service line. Which doesn't have a complaint department. I just looking to speak with someone at Maytag who can tell me why my 3 year old washing machine, which was not cheap, needs to be replaced at my expense. Purchased a Maytag 5000 Series dryer with steam. Nearly $800 at Home Depot. Less than four years later, the dryer needs a new heating element. $99 for the "first" service call. Have to wait one week for the part. $340 - $350 for the part. And of course, another $99 for the "second" service call. That's at least $540 to repair an $800 dryer. Like everyone else I'm reading about, I did not purchase an extended warranty. I thought I was spending the extra money on the initial purchase to buy a higher quality product from a more reputable company. Wrong! There are two adults who live in this house. We work 60 to 100 hours per week. We don't have time to do laundry. Half of our clothing goes to the dry-cleaners! So this isn't a household with 19 kids. I'm not talking about a dryer that never got turned off. This is ridiculous. I foolishly spent $800 on one of Maytag's products thinking I would get ten years of good service. That's $80 per year to own the thing. I want my $480 back for the six years of service your product failed to provide. What is the environmental impact of your corporation pumping such disposable trash out into our environment? Who is looking into that? How irresponsible is it for a corporation to manufacture such trash with the full expectation that it's going into a landfill in "less than" four years? What was Maytag's solution to the problem? "We'll essentially give you an employee discount on a new product." Well, that would be wonderful, but you need to give me a discount on another company's product. I will "never" again have a Maytag appliance in my home. I have already began and will continue informing every person who will listen about my experience with your products. I told the Maytag person on the phone that I would never even accept a free dryer from their company. Maytag, you should be ashamed. If you cannot manufacture a better product, if you cannot provide better customer service and stand behind the products you make, and if you cannot be more environmentally responsible, you should be out of business. Your corporation and this product has reaffirmed a belief in me: This country is incapable of producing anything that isn't disposable garbage. I do not purchase American vehicles because they're disposable garbage. And from today forward, I will do my best to purchase as few products as possible that are manufactured by American corporations. Our 18 month old dishwasher stopped working after 4 months of trouble in March of 2015. After contacting Maytag's repair service a repairman was sent out. He informed us he would be back in a couple of weeks as he didn't have the correct parts. He returned after a two week wait to inform us he would have to order new parts. That was in April 2015. It is now the middle of June 2015 and we haven't heard a word. Our dishwasher has been down over 4 months which I feel is totally unacceptable. We were informed 10 weeks ago that our parts were backordered. We bought a Maytag refrigerator, a stove, a dishwasher, a microwave, a washer and a dryer after our house burned two years ago. we have had problems with the microwave (sparking in the corner), the refrigerator (water supply line and drawers), and the dishwasher to date. I am still awaiting the repairman on the dishwasher in hope that it will be taken care of yet this year. I will never buy another Maytag product ever again. I bought a washing machine from Lowes. It's been a lemon from day one. My clothes have never been clean and they smell. The washing machine lid does not have any kind of ring around it, so when the water would come on it would spray water and all over my laundry room. Then it run the machine and I only had it a year. I've had called in four or five different times. I came out to my house finally just quit working. I'll never buy another machine and Maytag will not give me my money back or anything. It's now sitting in the side of my yard with the lid down. I'm going to set the thing on fire and put it on YouTube. Things are getting inside of it. I'm going to set the thing on fire and put it on YouTube. Replace the machine!! Bought a very nice dishwasher 2 years ago and the control panel has gone all funny. We now have to unplug it to keep it from running randomly. I called Maytag and they told me that I would have to schedule service and they could not do anything. They could not give me a price on a new control board nor do they have an IT team that I could speak with about the panel. Their customer service did not even try to work with me on this problem. I will have to have it fixed unfortunately, but I will never purchase another Maytag. I also have had this problem with a washing machine in the past, so I will honestly say that this is the last time for Maytag in my house. The seal has always been very tight making the appliance difficult to open. Seal replaced once within one year of purchase. This week the diagnosis from our local Maytag repairman: the whole panel separated from the appliance, the bolts were stripped, and the plastic was sheared from the front. This is a serious FLAW. Ok, this is the third Maytag appliance bought within 5 years, every one having issues within the one year warranty covered, the issues continued after the first year with two appliances. I am discouraged, angry that the brand is failing, and now will consider replacing, or not replacing, with other brands. Purchased a Mod#MVWB850Wl washer less than 4 years ago (replacing a 19 year old Maytag washer) and after it went off balance. It now sounds like a jet engine when in the spin cycle. I have been told by a repairman that he thinks it is the baring attached to the drum, and that the cost of the parts and labour is going to be as much as a new machine. Really?? 4 years old!!! Where is the good old Maytag of yester year?? I also have a 17 year old dishwasher that is not going to be replaced with another Maytag if this is the quality of Maytag today. My brand new Maytag refrigerator quit 10 days after purchasing it. I called to get it fixed and then it broke down 2 more times until finally it was fixed ..3 services calls for the same problem!! Lasted 13 months and it now has been down a week -a part was replaced yesterday afternoon and it is still not working. I don't think anyone should have to put up with this when you pay so much for the product. I believe Maytag should replace this lemon. 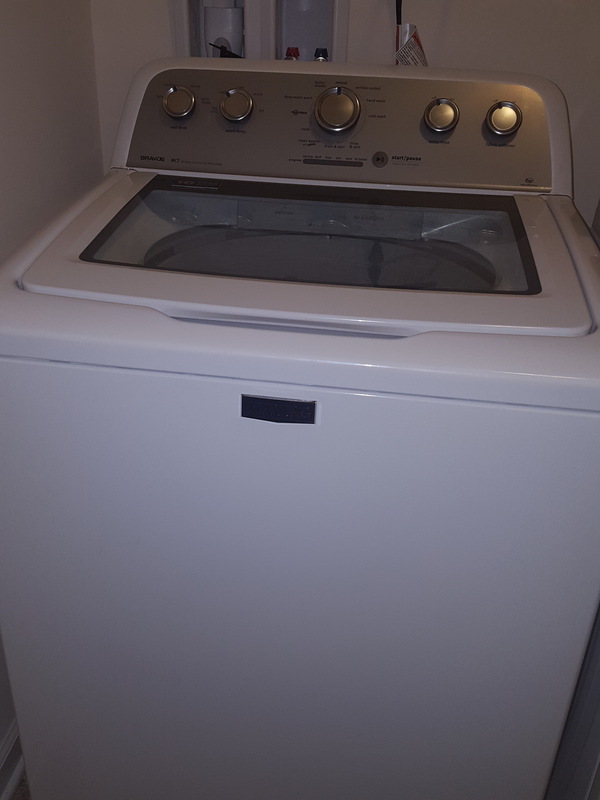 About 3-4 years ago I purchased a may tag bravos washer and dryer, within 2 months we had too have the dryer repaired ( something to do with the electrical) it has since worked fine. But, the washer had to be repaired after having it only 8 months, and that cost me 70 dollars and that repair only lasted 90 days. The washer doesn't complete a wash cycle about 80% of the and shows a Ul symbol so I have to pull the drum up and down and put it on rinse and spin cycle to finish the load. Sometimes that cycle doesn't complete either and I have to put it on drain and spin cycle to complete the load, the cycle only spins on low which causes me to have to dry clothes longer. I see no point in calling to get it repaired since it must be a faulty design and I don't wish to spend money and time repairing something when the repair only lasts 90 days. The only remedy I can think of is for you to replace this wash machine at know cost to me with one of equal value that doesn't have this kind of problem, otherwise I will never buy a maytag product again. Bought maytag washer in 2010. Also bought 5 year warranty with the understanding with the factory warranty it would be a total of 6 years. Had the drain motor replaced under warranty, it is so loud it sounds like an airplane landing, it stinks even though we clean it everytime the light comes on now the transmission is going out and we are told our warranty ran out in feb. Which if we go by what we were told we should still have another year. At this point we are going to trash it and buy a new one. We have never been happy with it. It is deffinitly a lemon. We will never buy maytag again and will discourage anyone else to do so. Every appliance I own is maytag. When the range arrived it looked as if it had been hit by a truck. Called maytag they arranged for a repairman to come out and assess the damage. He didn't show up. I then called and complained. We rescheduled. He finally showed up and assessed the damage and said it was repairable. 3 weeks went by and heard nothing. He randomly showed up to "fix" the range with no notice. I work midnight shift so this was extremely inconvenient for me. He then fixes most of it except for the top that also has a dent, but in the process; scratched my wood floors. I will never buy maytag again. What a shame! I purchased a Maytag Range from Home Depot in Laplace, La in February. The first time I used the oven, I found a condensate leak between the glass on the oven door. I notified Maytag and was informed that I would have to pay to get this fixed because apparently I had spilled something in the oven. Needless to say I went back to the Home Depot store complaining. They called and someone was supposed to come & take care of this. Well no one came or called. On my third trip back to Home Depot the manager decided to get me another range. I was angry but I settled for that. This delivery was delayed due to inclement weather. When the new range arrived it took the two men over half an hour to get it in the house. I was so dis-satisfied with them that I wanted them out of my house. After a lot of banging I finally told them to leave my home. after they left I found a large ding on the front of the stove. I immediately called your customer service line and they were going to send me a new stove. In the meantime I had to pay for a stove that was not mine. I am 63 yrs old and have never witnessed such service. it took me 6 weeks to get the range I purchased. That is totally unacceptable. we were inconvenienced so many times with delivery dates. Had to change a couple of appts. I am sending my personal contact information. thanking you in advance. Bought a new electric range with hidden burners, does not bake right and impossible to clean. Have tried it many times and I will never buy another maytag product again. My clothes are never coming out clean, I eventually have to wash everything several times and still not smelling clean or looking clean! This wasting laundry soap, electricity and my TIME! Will not purchase another Maytag again! I purchased a Maytag range at Home Depot in Laplace, La. in February. The first time I used the oven there was a condensate stain between the glass on the oven door. I suppose it wasn't sealed properly. I called your customer service And was informed that I would have to pay to take care of this. Needless to say I was furious. I went back to Home Depot & complained. I thought it was insane to have to a brand new range that I had barely used. The Home Depot manager ordered me a new range. It was delivered on March 11 by two guys that did not know what they were doing. They made all kinds of noises & was banging all over the range. I was uncomfortable and not satisfied with their service. After they left I found a large ding on the front door of which I photographed. I then called & complained to Customer Service. They agreed to send me another range that arrived on Mar 17. It is unbelievable to have 3 (three) ranges delivered to your home in 30 days. To make matters worse, I had to pay for something that was not of the quality that I had purchased. This type of service is not acceptable. Mother board just quit - 3 years old - disgusting - replaced 16 year cheap Roper that never had maintenance problems but thought I would upgrade before I retired. I use dishwasher about a months. $1000 for 3 years of limited use? How dare you sell such a shoddy product. I have checked power connections. I show connection when I press "Delay" - so power is connected. I will be charged a huge amount for tech to come out - I would rather rip, dump and advise all re Maytag's shoddy products. Kithenaid, now owns. Would never have bought Maytag if I had known who owned the company. Are you serious - 3 years? Purchased Bravos,econoserve top load washer about 2 years ago with a promise of lower water bills,and we would help environment.We never thought that are clothes would not be clean especially in cold water cycle. Clothes just plain are not well cleaned or rinsed on any cycles.We are very disappointed with this Maytag product and will not another product from your company.What are consumers supposed to do? With the complaints on line this product should be recalled,it is junk! If I produced a product like this on my job I would be fired! My perfectly cold bottom oven on my double oven exploded. No one was touching it. It had not been used since November and it exploded in February. It did not just break it literally exploded. My daughter still has a mark on her face where the glass hit her. It did not just fall in the floor it flew over 8 feet into the dining room. My neighbor was sitting in my dining room and almost had a heart attack. Maytag said they would get back with me but does not seem interested in taking care of the problem. I have an issue with my Maytag gas range. The model number is MGR5875QDW and my serial number is 21056508GV. The porcelain grates on my gas stove are chipping. I have already had them replaced under warranty. It didn't take long after I replaced them for the same thing to happen. I did inquire about replacing them under my extended warranty but I was told it was cosmetic so therefore not replaceable. Over the years it has gotten worse and worse and now I am at the point where I don't want to look at it anymore. So, I have decided to purchase new grates. I called Maytag parts and found out they will cost $93.00 each. Before I make an investment in new grates I would like to know if the chipping issure has been fixed. I spoke to customer service to see if they could answer my question and they said they don't know of any problems with chipping of my grates. It seems strange to me considering there are websites that are clearly espressing this issue that other consumers are having. Could you please let me know if this problem has been fixed and if I can go ahead with my purchase knowing this chipping will not happen again. If the problem is the same could you suggest a possible solution. I have bought and bragged about the Maytag brand for the last 25 years! I have never felt the need to send a complaint letter for anything else I have purchased but, after spending over $1,000 for my washing machine and am very upset with the way my laundry is coming out. After using this machine for the past six months, my clothes are not coming out clean, or smelling clean! I have gone over the instructions many times. I have tried different strategies to get the clothes clean and not smelling bad. The only thing that seems to work with any consistency is washing only a few articles of clothing at a time, and in order to get rid of the smell, I have to use more laundry soap. When I use more laundry soap, residue spots are left on my husband and son's dark work clothes. At that time I have to re-wash the clothes. Everytime I do a load of laundry, I add the extra rinse cycle. Between doing this and having to re-wash loads of laundry, I really doubt that this is saving on water AND electricity, as you claim! Bottom line, this machine has been a major headache and disappointment. My laundry is not clean like it used to be with my old machine and I have to take extra steps to get my laundry somewhat satisfactory. Maytag washer Centennial model mvwc400xw, purchased 8/13/2011; "start/pause/unlock " button has been malfunctioning for six months. Recently, the machine started making ear screeching noises during washing, rinising and spiinning cycles. The cycle continued even when the lid was up. The machine should not work when the lid is up or open. To stop the cycle, I had to unplug the machine. I think this product was dangerous. Unfortunately, Home Depot only had one year warranty for replacement. We had our old Maytag repaired, but the repairman blew the transmission. We brought this one and we can not afford another costly fiasco. Maytag should be reputable enough to replace this poor quality machine!!! It's lasted less than two years. We purchased a side by side Maytag refriderator (Model #MZD2766GEB blk) tht was delivered on April 5, 2000. After it was delivered, we found that the icemaker did not work right and called for repair. The reapirman said the icemaker was installed wrong. This was covered under warrenty. Then on May 12, 2001, the icemaker was not working again. We called for repair and the icemaker was once again replaced. This was again under warrenty. On August 24, 2006, once more we had problems with the icemaker. The repairman replaced the icemaker for the third time. This cost us 196.54 out of pocket. After he left the refrigerator started making strange noises and the repairman had to fix something else for the icemaker. On Nov.21, 2011 a new icemaker was ordered again, was replaced on Nov.22,2011. Total cost of this was $209.96 out of pocket. NOW, Oct.15, 2012, the icemaker is no longer working again! Once again I must call and order service for this, This is #6 reapir for the same problem. We are on a fixed income and cannot keep up with the reapirs every couple of years. This is to say the least very irritating and an inconvience. There are only 2 of us in the house and I see no reason the icemaker should be going out so often. We are not using the icemaker that much, maybe 2-3 times a day. We are wondering if anyone else is having this kind of trouble with this refrigerator and the icemaker? If we order icemakers in bulk, could be get a discount? ( This last sentence is obviously a joke.) Hopefully your company can find a soultion and fix for this problem. We purchaed a side by side Maytag refrigerator (Model #MZD2766GEB blk) that was delivered on April 5, 2000. After it was delivered we found that the icemaker did not work righat and called for repair. The repairman said the icemaker was installed wrong. This was covered under warranty. He had to make another trip back with the proper parts. This was covered under warranty. Then on May 12, 2001, the icemaker was not working again. We called for repair and the icemaker was once again replaced. After that the repair man had to come back and work on it because it was making a loud noise. On August 24, 2006, once more the icemaker quit working. New parts charge and another service charge. On November 21, 2011 the icemaker quit again, and again money for parts and servvice. Now again as of Oct.16, 2012, the icemaker is not working. We have spent so far, out of pocket $607.95. We are on a fixed income and cannot keep repairing this icemaker to the extent that is needed. Is this a typical problem that others have had with this refrigerator or are we just lucky to have one that breaks down all of the time? A few weeks after the purchase of my refrigerator I noticed cracks in the platic around the glass shelves. The weight of a gallon of milk stored caused the shelves to break down. Then we noticed the drawers were hanging....the plastic slides were breaking with the weight of produce and the food stored in the drawers. I ordered replacement drawers and shelves, the same thing happened. I now have no bottom drawer and the other 2 are cracked and on the verge of breaking. The plastic on the shelves are cracked and breaking. The plastic is clearly not the quality it needs to be!!! I refuse to invest in more replacement parts to have the same thing happen. I chose Maytag because I thought it was a reputable name, the inside of my refridgerator looks like someone took a hammer to it an abused it. I am very unhappy and I will not buy another Maytag product. Good day, In April 2011 I bought a Maytag Bravos MCT top load. At the time, the vendor told us that it was the best washing machine quality-price. It was delivered to my house end of June 2011. Since that time, I am having problem with the machine. The problem is that there is always soap on my clothes when I took them out of the washing machine. I use of course HP soap and try different brand, but none of them is giving me good result. I barely put any soap in the machine and it is always the same thing. Soap on the clothes when I take it out of the machine. I always use the extra rinse cycle but even then I often have to redo a wash of the clothes without any soap. I hate the machine. It is so far the worst buy I did. Washing machine are suppose to help us in our day to day chores but in this case the machine is chore in itself. I cannot rely on the machine and instead of helping me, it creates me more work. I am very disappointed with the machine and I just wanted to let you know. Thank you for taking this into consideration. Contacted Maytag corporate office number about the problem, they referred a repair shop in Priest River, Idaho. called for an appointment, were told it would be a month before they could get out to find out what the problem was, we have a freezer full of food, so we contacted Sears to get a repair person, Sears had a repair person here in 12 days to find the problem. Problem is the timer for the defroster. Contacted Maytag and was told that we did not use the company that Maytag referred us to so Maytag will not pay for any repairs or service calls and now we are paying $300.00 for repairs unless we use a company that Maytag refers us to and will not use the parts that we have ordered. We will use a Coleman ice chest before we will buy a Maytag product ever under any conditions and urge all of our friends to not buy any Maytag product. Within 6 months of purchasing a Maytag Refrigerator the auto defrost unit had a malfunction.Â Six weeks later and 4 service men later our refrigerator is still broken. We have taken 4 - half days off of work and lost out in over 400.00 in wages not to mention the food we lost during the initial breakdown.Â Maytag has no intention of fixing the issue let alone reimbursing us for loss of wages nor are they willing to replace the refrigerator even though it is covered under warranty.Â The only thing they offer is to continue to schedule service calls for which they tell you someone will be at your house between 1pm - 5pm and that results in MORE TIME OFF WORK not only loss of wages but now jeopardizing employment all together. So unhappy, the fact such a well known company can do business this way surprises me more than anything else. When it is spinning out, it makes a very loud noise. Maintenance repair has told us it would cost $400.00 to repair. The washer does not clean clothes good and wear out my towels. I have owned maytag washer and dryer for 42 years. I am very dissatisfied with this energy the washer. I have already had two calls to fix my oven. Right now, I am very, very angry. Again the oven shut off before my cake was done. I had it in there for 1 hour and 30 minutes. It was raw when I took it out. . I have reached my point of no return. Either they do something with this stove, or I will bring it to court. I am tired of making appointments, having someone come out to fix the stove. It just isn't working. This is the third time tonight that I am baking a cake. And it is the third time, I am throwing it out. I have had it. I bought the stove at Home Depot. In fact, I was there last week and told the manager I was having problems. But it was just today that I am using the oven, again. It was working fine for Thanksgiving. I don't know what the hell is wrong with it. It is intermittment. Sometimes it is OK and then it flips out again. It had to be tonight when I am obliged to bring a cake to a social function. Please, Please do something. The evening before Labor Day the refrigerator stopped cooling and we noticed water from the ice melting. That was the morning of Sept.2. At 8:00 on the 3rd, I talked to Maytag repair in Tenn., was transferred to refrig. department, and explained problem. 2 hours and 30 + minutes later, Lutricia finally called me to say there were no openings this week, for their auth. repair co.A&E. What the hell? This is a friggin refrigeration failure, which is now the second time in less than 8 years. There will NEVER be a maytag anything come into my houses. 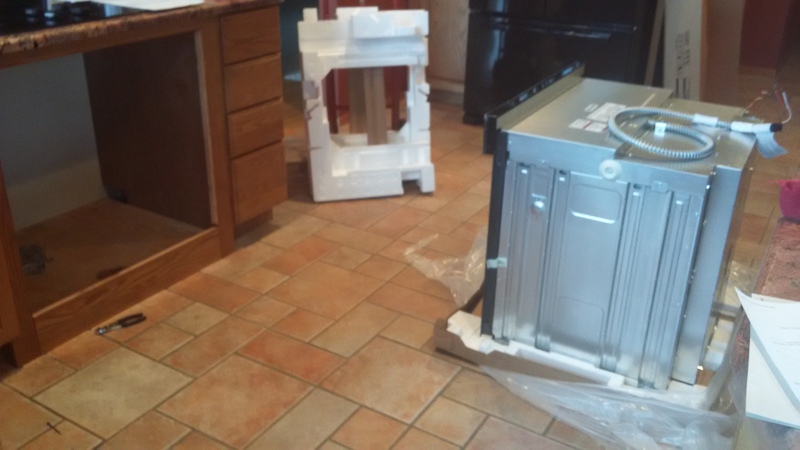 We purchased a Maytag dishwasher about ayear ago, and duruing this past year we have had the same part go bad , which we had to call Lowe's to send some one out to make the repairs. One time they said they need to order the complete touch pad, which took about three weeks to come in . It's a good thing purchased a extended warranty, but thats not the point if Maytag is selling a defective product they should make good on it, like replace it, or recall it, not just let the consumer deal with their mistakes. They keep telling us that the switch on the doors it what keeps going bad, so how long do I need to purchase extented warranties from as long as we own the diswasher. If that's the case I should just use that warranty money to throw out this defect (Maytag) dishwasher, and buy a better one from another company !!!!!!!! I have tried home depot to replace my dishwasher they told me I would have to return my dishwasher myself and at the time I was in a wheel chair having had 7 screws and 1 plate put in my left foot and I could not do that. I called the warranty center they sent someone out and said it was my control panel in front of the dishwasher. I was told to buy blemished and I bought all of the blemished product still does not wash my dishes. I feel someone should doe something to make this unit work or give me a new one which this one is new but it does not work.